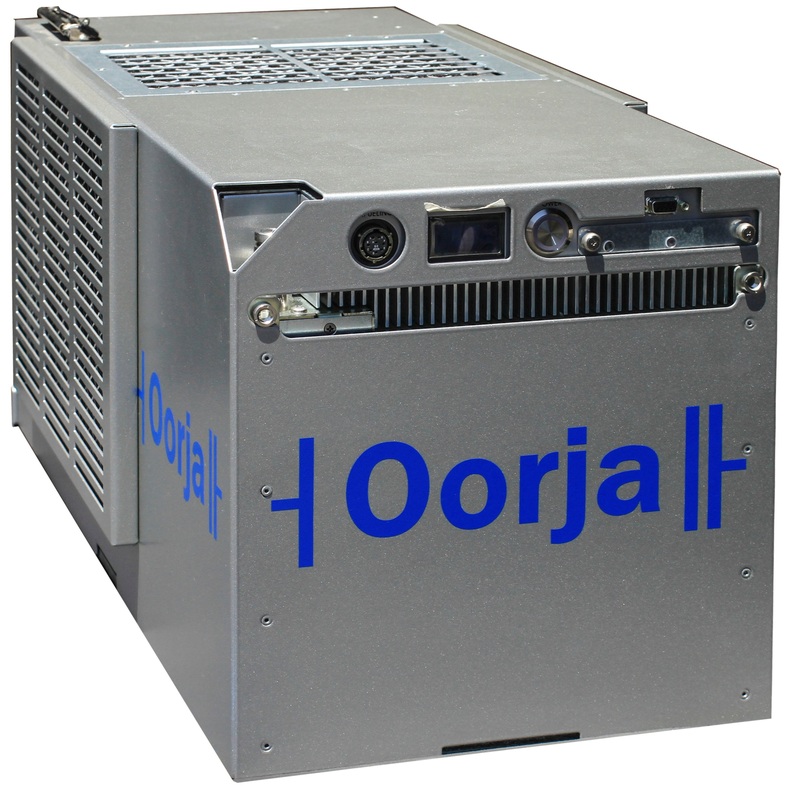 Oorja Corporation develops and manufactures direct methanol fuel cell (DMFC)-based power systems that use a common, readily available liquid fuel—methanol. The company’s approach combines a fuel cell and a traditional battery to provide a high-power solution that significantly reduces operating costs and greenhouse gas emissions. Today, Oorja is a leader in supplying reliable and economical DMFCs for the materials-handling and telecommunications (wireless) industries. Model 3, our product for the Materials Handling Equipment (MHE) market, operates as an on-board battery charger for MHE vehicles. Model 3 on-board sensors keep the vehicle’s battery at a high state of charge, eliminating the need for battery swapping and rapid charging. The power system reduces the dependence on public utilities and reduces CO2 emissions by up to 66 percent compared to charging batteries using the grid. Refueling takes about two minutes, improving productivity and supplying enough power for an entire shift. 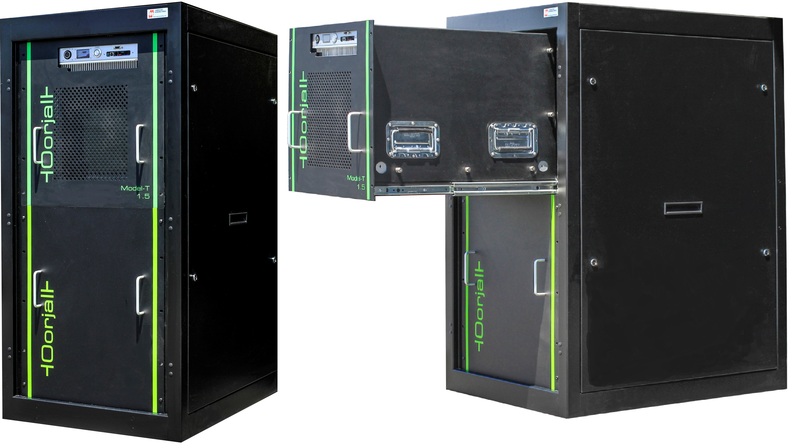 Model T-1, used in the telecommunications (wireless) industries, operates as a battery charger for a wide variety of stationary applications, allowing existing batteries to extend their length of service during power outages at a lower cost than with other options. Refueling infrastructure takes little space and is inexpensive and safe. With improved productivity, increased performance, reduced operating costs, and a clean and safe fueling solution, the Model T-1 typically offers timely return on investment while providing full grid independence.